Most homeowners would tell you that the summer months that are dry and warm provide the maximum protection against damage caused to the basement due to water accumulation. These are the best months when your property should be evaluated to track whether there are any weak spots, leaks and cracks that may lead the snow and rain to make an entry during the winters. You might have already experienced basement damage due to water logging in the past or you may be trying to take some precautionary measures against leaks and floods so that damage in the future can be prevented. Whatever may be the reason; summers are the best times as there are plenty of dry and warm days when preventive measures can be installed in your house. Check out these simple water damage prevention tips that can be used to protect your basement from any type of water damage in the future. No matter if it is dry or wet, you can utilize the summer months for locating the existence of any weak spots, cracks or leaks in your home’s foundation so that they can be patched prior to the snow and storms in the winter. When you find that it is a dry summer, take your time to inspect your house thoroughly for presence of any weak spots. The basement pipes should be inspected minutely for presence of condensation and moisture. Look out for any old stains of water on the walls and ceilings and make detailed survey of your property so that the foundation can be also checked for cracks if any. If there is any type of telltale warning symptoms or issues, the summer season can be utilized for handling those issues. In case you are residing in a locality that experiences frequent summer storms, it is simpler for you to track weak spots. You can then get them repaired before they become bigger. While basements are a great place in any home and are used as a center for entertainment or storage. It is important that they are protected well from floods and water damage. Basement waterproofing is the best solution to protect your water from getting flooded with water. It is recommended that a reliable service provider is hired during summer time for getting the Basement waterproofing done. Since summers are usually dry, they are the best times to get your basement waterproofed by skilled contractors. 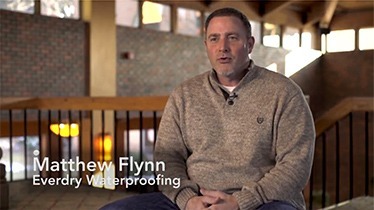 Since summer is regarded as off-season by many contractors, it is an apt time for waterproofing as an appointment for evaluation and inspection can be easily procured.